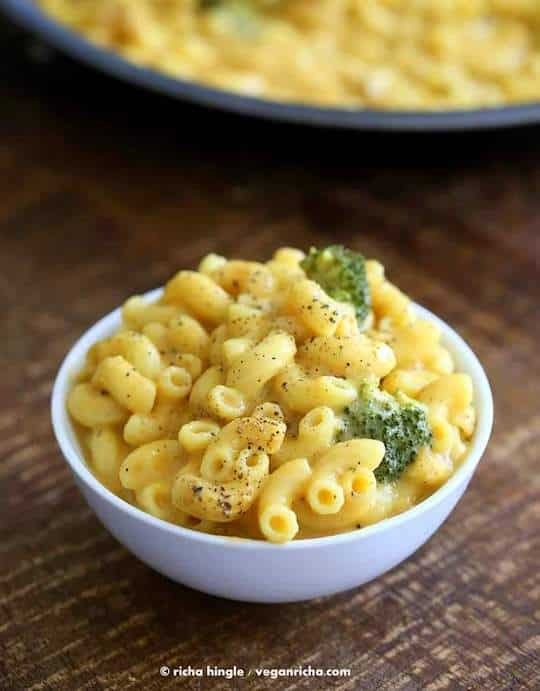 Mac and cheese is such a classic comfort food that it’s no wonder that the vegan version has become a classic, too. 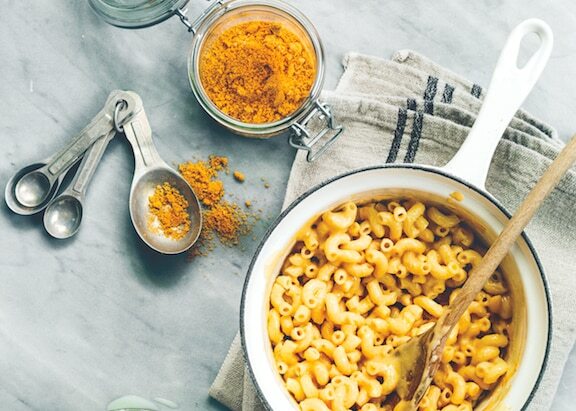 There are so many great ways to make vegan mac and cheese — some of which involve no (vegan) cheese at all. 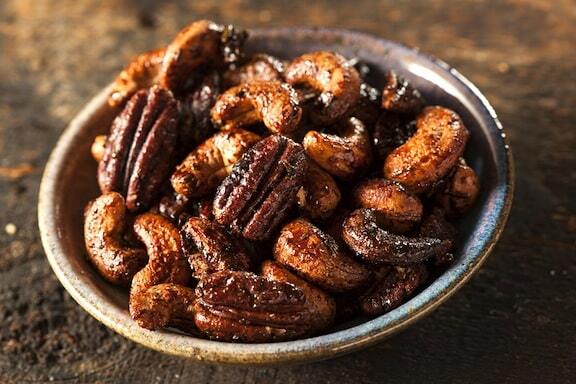 So indulge all you want — these recipes will please kids of all ages. 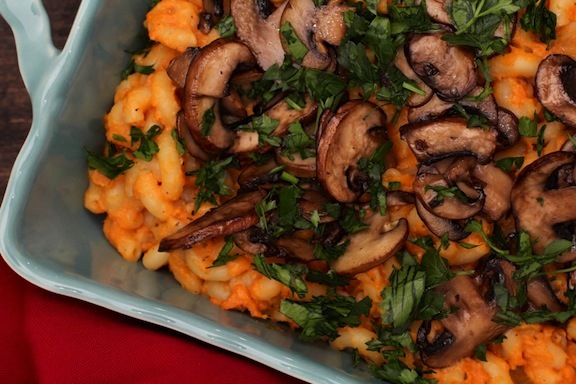 In Sophia Zergiotis’s Roasted Sweet Potato Macaroni and “Cheese” recipe (shown at top), the cheesiness comes from a combination of roasted sweet potato, mustard, and nutritional yeast. The result is a nostalgic mac and cheese with a grown up edge and a rich, creamy, and satisfying dish. 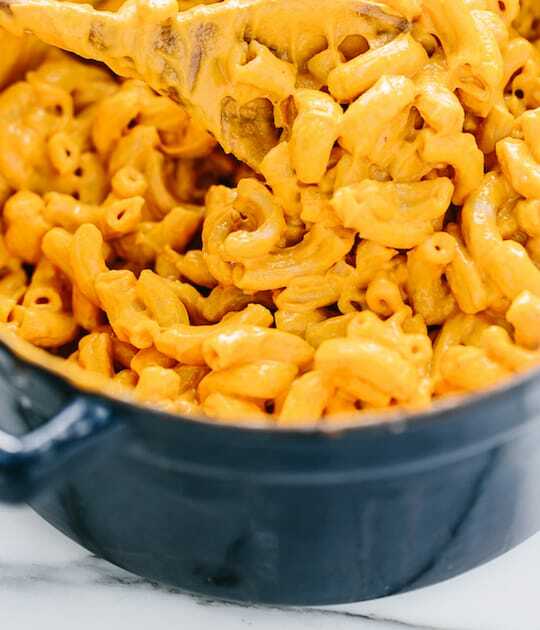 Here’s basic Vegan Mac and Cheese that’s kind of the modern classic version, and so simple and creamy — made with silken tofu, vegan cheese, vegan butter. 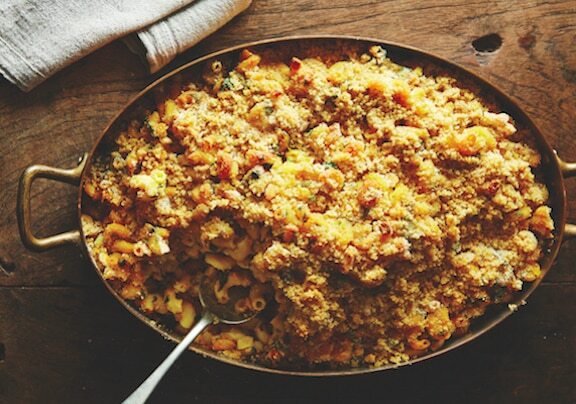 Butternut Squash Mac and Cheese uses sweet, creamy butternut squash in the sauce. 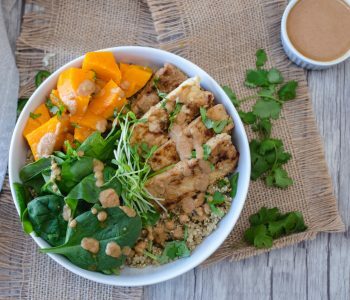 Gena Hamshaw, who contributed the recipe, says it’s her favorite, and it might become yours, too. 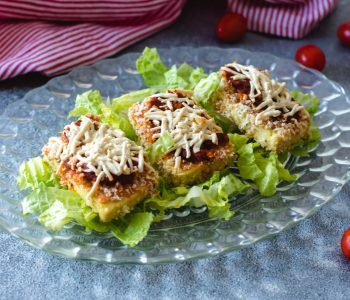 To create an authentic cheese flavor, she uses a combination of nutritional yeast, miso, smoked paprika, salt, and lemon juice. 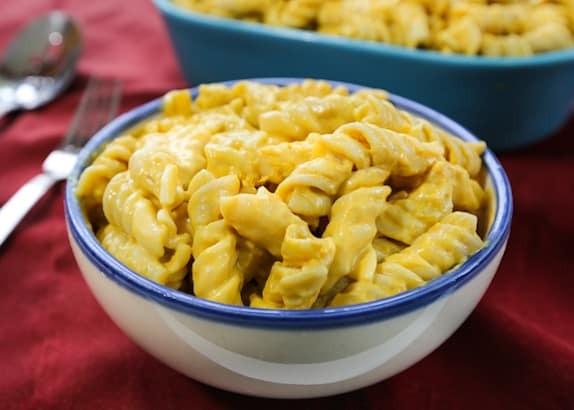 Well-Crafted Vegan Macaroni and Cheese Mix resembles the kind that comes in boxes, but is so much better for you! And if it’s created by Miyoko Schinner, as this one is, you know it’s going to be brilliant. Raw cashews, nutritional yeast, and garlic contribute to a creamy base for Minimalist Bakers’ Vegan Green Chili Mac n Cheese — a crispy crushed tortilla chips topping makes it even yummier! Blissful Basil’s Smoky Vegan Macaroni and Cheese is also based on cashews, and infuses the dish with a generous amount of smoked paprika. 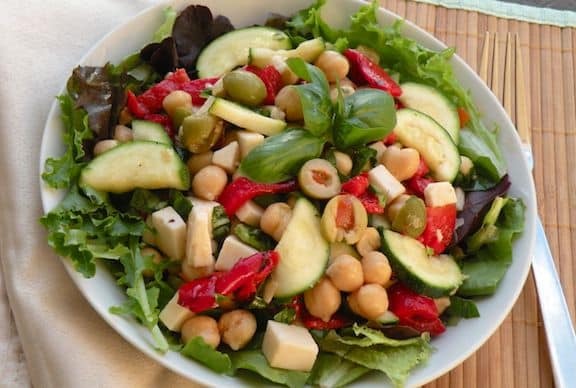 It creates a grown-up flavor in this otherwise kid-friendly dish. 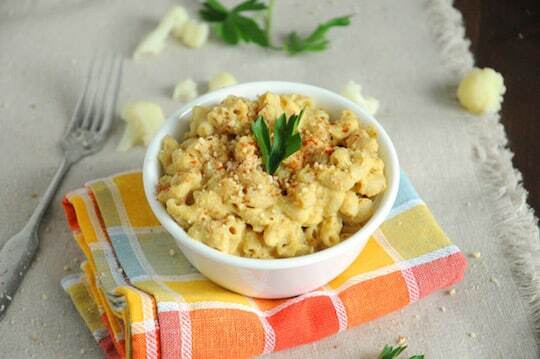 Here’s something deliciously different — Vegan Richa’s Black Pepper Mac and Cheese with Potato Carrot Cheese Sauce. 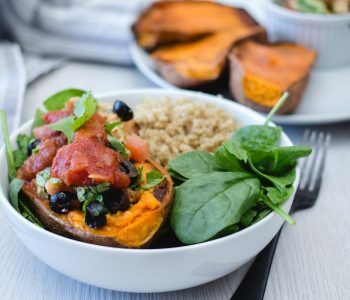 Now you can get your comfort food and your veggies in one delicious dish! 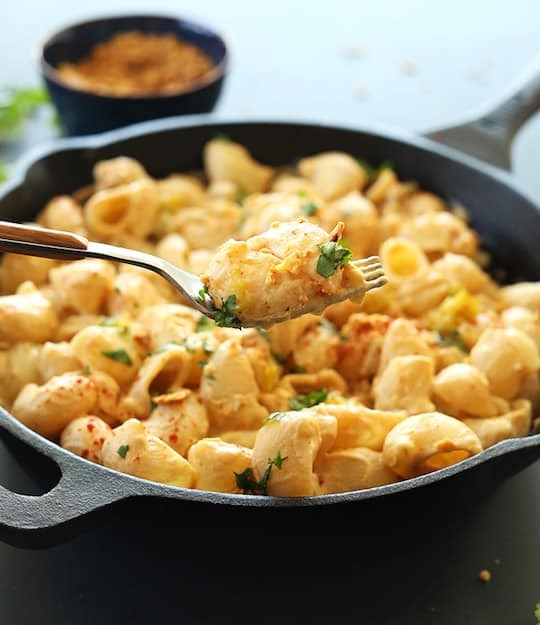 It would be insane to leave out a cauliflower-based version, so let’s leave it to Vegan Insanity to provide this Vegan Cauliflower Mac and Cheese — no doubt but that it’s extra creamy and dreamy. 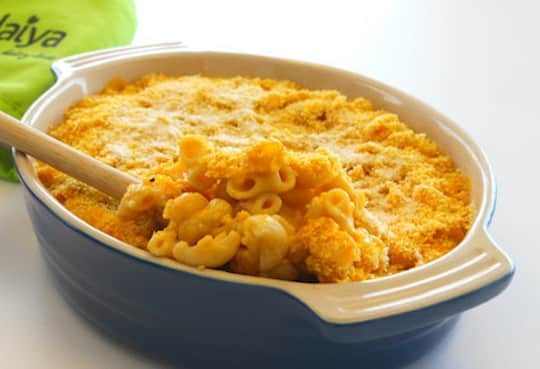 Let’s see how the makers of the popular Daiya cheeses make their version — yep, this crumb-topped baked Creamy Macaroni and Cheese looks simple and yummy.